BUY NANOROAST CUSTOM ARTISAN COFFEE! What Do I Need to Know About Coffee Acidity? How does a wine lover taste coffee? Do We Really Need 47 Ways to Make a Better PourOver? Beyond Origin: What does processing have to do with flavor in the cup? Light and Dark roasts are not aiming for the same goal. Here is a general principle in getting the most from the bean in hand: Lighter roasts allow more of the underlying bean characteristics to shine through; darker roasts are more about the taste of roasting something. (It’s a chemical thing called a Malliard reaction—the reason we like roasted meat, for example.) Lighter roasts allow you to taste the bean. Dark roasts emphasize bittersweet, caramelizing and burnt sugar flavors. One is not better than the other; they are just different goals flavor-wise. How do I choose? 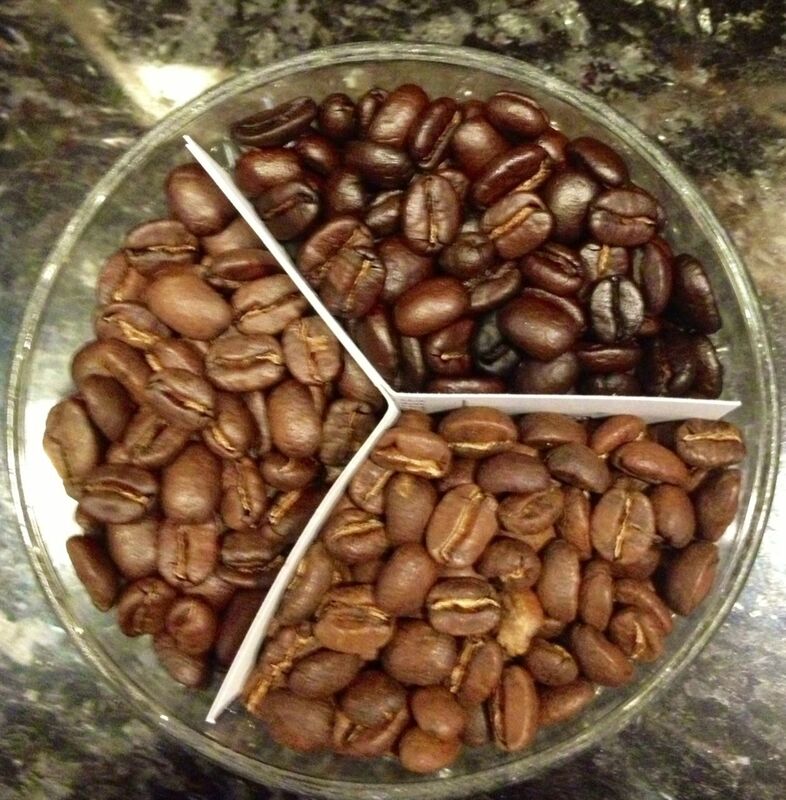 Since the choice of roast level is important factor in enjoying your coffee, we have devoted a page to a more in-depth discussion of what “light” and “dark” roasts mean so you know what to expect in ordering a light, medium or dark roast from NanoRoast. Read about that topic here. Every specialty coffee has a roast range where it shines. I try to aim for somewhere in that bean’s range of “best roasts.” After that, we aim for the characteristics you personally like best in that bean. Because we roast in very small batches, we can tailor them to individual preference rather than assume you will appreciate the bean one “right” way. Espresso brewing is a different animal than other brewing techniques. It generally calls for darker roasts than pour-over brewing methods. Be aware that the brewing method impacts flavor and mouth feel. You may want to read my short article on that topic. If you don’t like espresso, that’s ok. Stand your ground and brew the way you like it. Beauty is in the cup of the beholder Each variety and origin of bean will have a slightly different look to it at each roast point. This is important to note when you order a “light” or “medium” roasted Ethiopian or Sumatran and get a result that looks uneven and mottled. Chaff! Roast level also affects the amount of chaff that may be clinging to the bean. Many large commercial roasters don’t want to deal with consumer complaints about ugly or sketchy-looking beans, so they roast dark. That preempts the issue, and if all beans were great at dark roast, then all would be fine. But there are many beans that are simply ruined by roasting too dark, their less-than-uniform, gnarly or chaffy look notwithstanding. Therefore, be aware: There are a range of looks to light, medium and even dark roasts that depend on the bean’s characteristics. The only way to judge a roast is in the cup, so we cup each batch for quality and to make sure it’s what you ordered, no matter what it looks like. Why do we care about roast level?